This woven short sewing pattern has a relaxed silhouette with an elastic waist. The front patch pockets are cleverly designed to create belt loops that sit on the paper bag waist. Great for weekend wear and that summer BBQ These are multi sized nested patterns printed on 60gsm paper. There are two size ranges available for each pattern. Seam allowances are included. 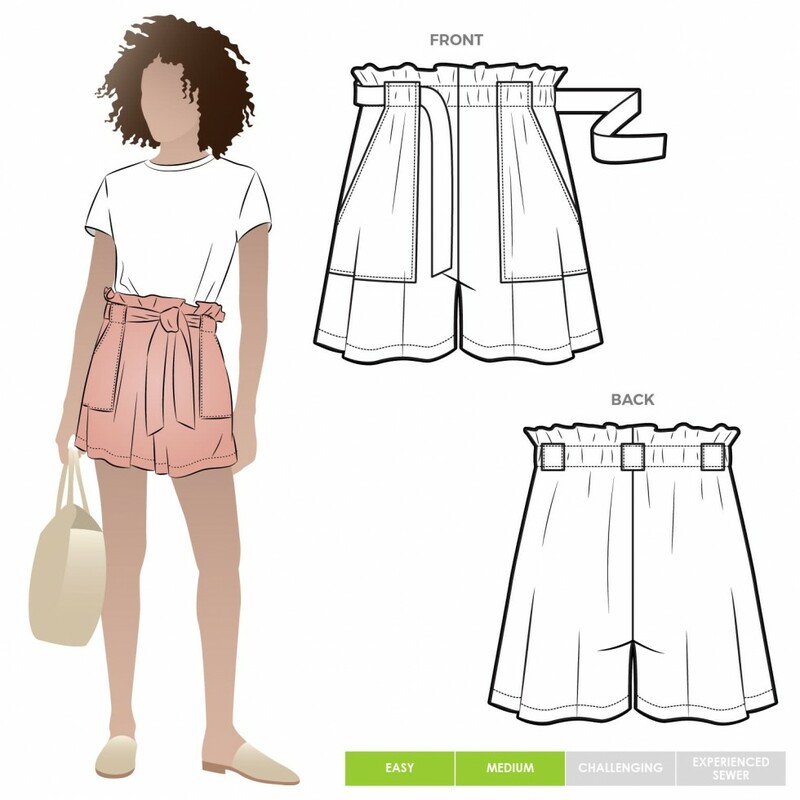 Please note, Style Arc sewing patterns come with limited instructions and assume some sewing and pattern knowledge.